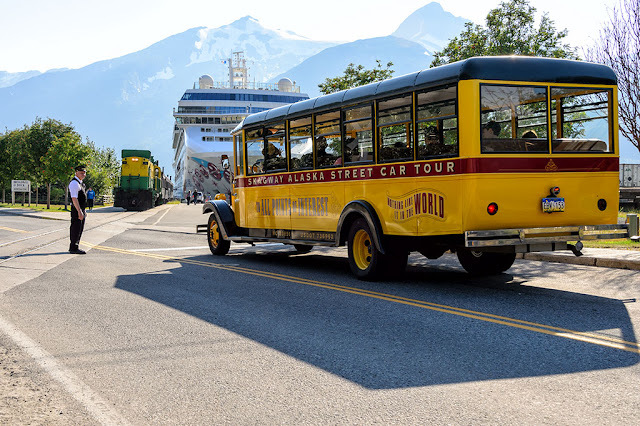 We took a short, early morning, bus ride aboard Skagway's Original Street Car to get a little history of the city. 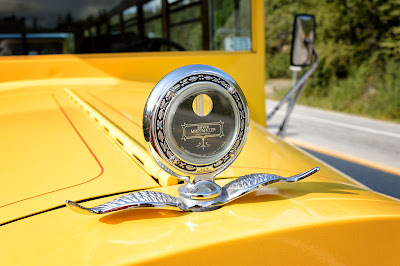 (Did you catch the short bus reference?) This 90 minute ride on a custom built sightseeing bus gives you a good view of the surrounding area. 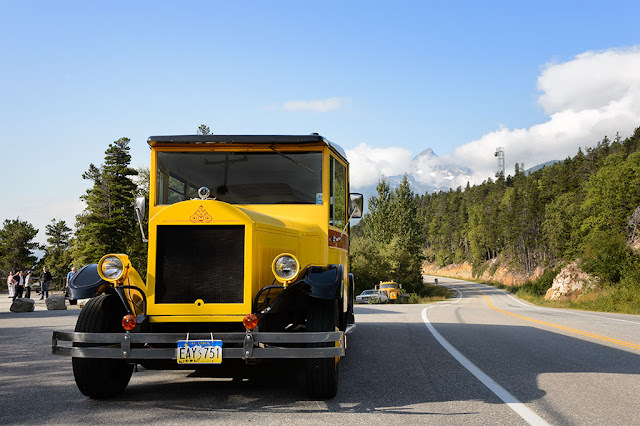 The bright yellow buses were actually scratch built by Boyd Coddington's shop to resemble 1927 era vehicles. 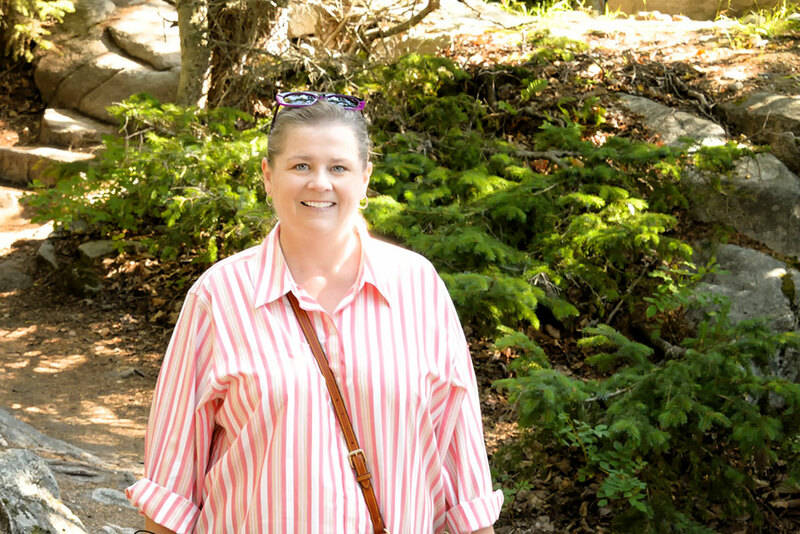 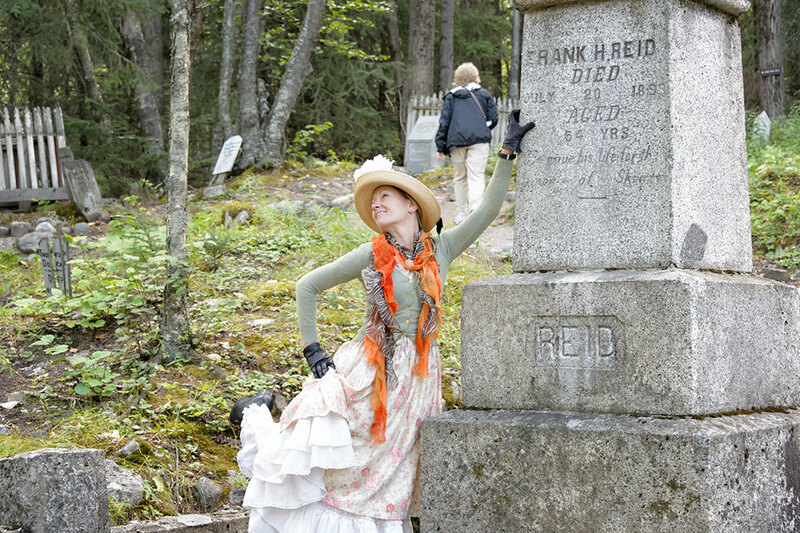 Our costumed tour guide, Shawna, was extremely entertaining and she was able to provide stories of modern life in Skagway as well. 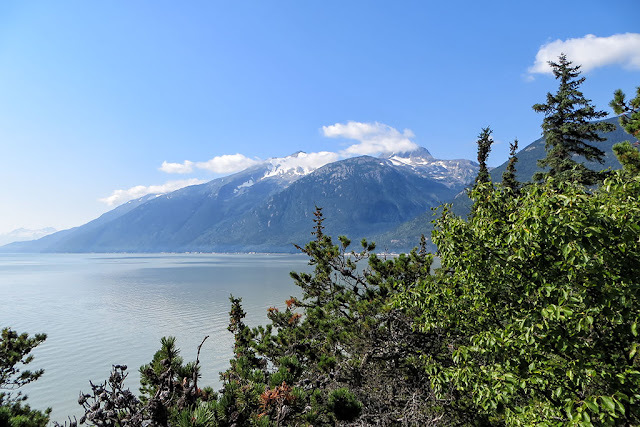 The excursion included a trip past the White Pass & Yukon Route Railway shops to Gold Rush Cemetery and then to Skagway Overlook. 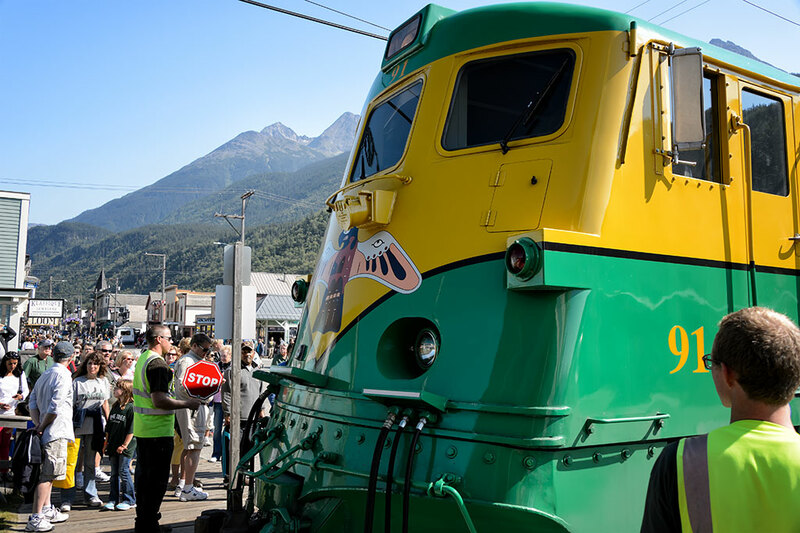 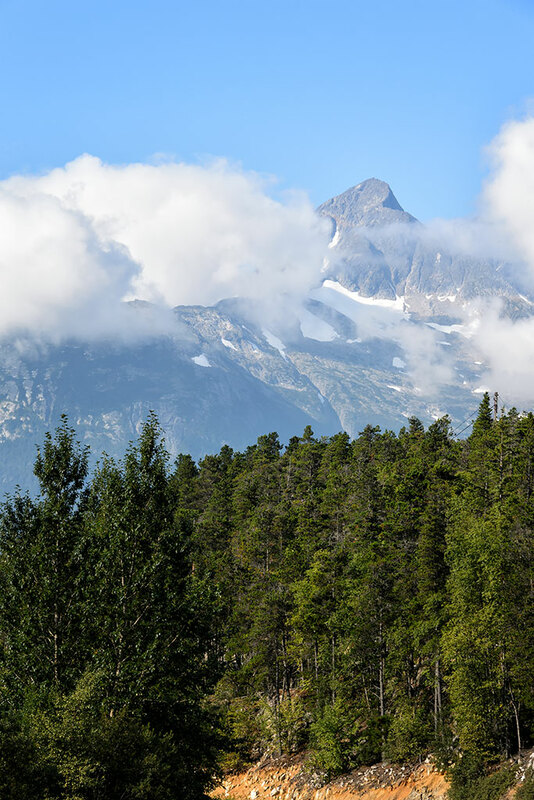 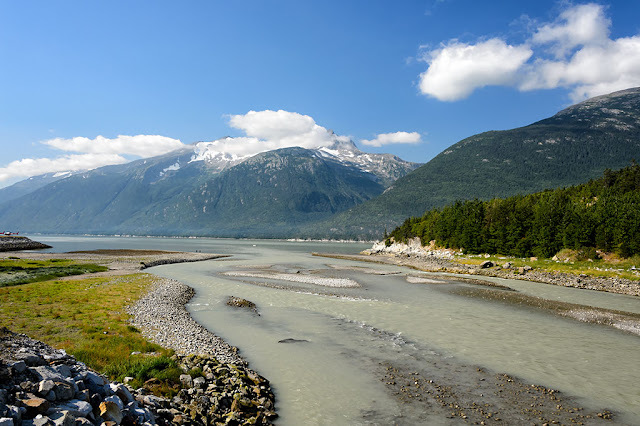 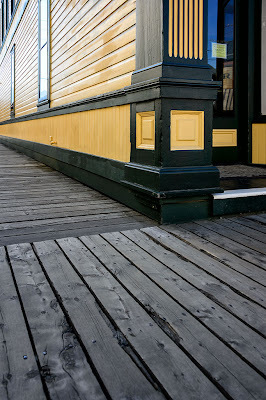 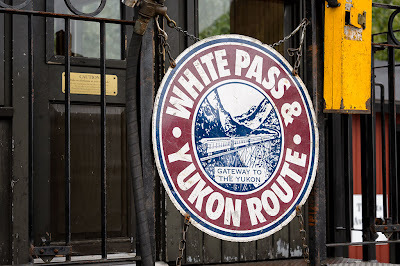 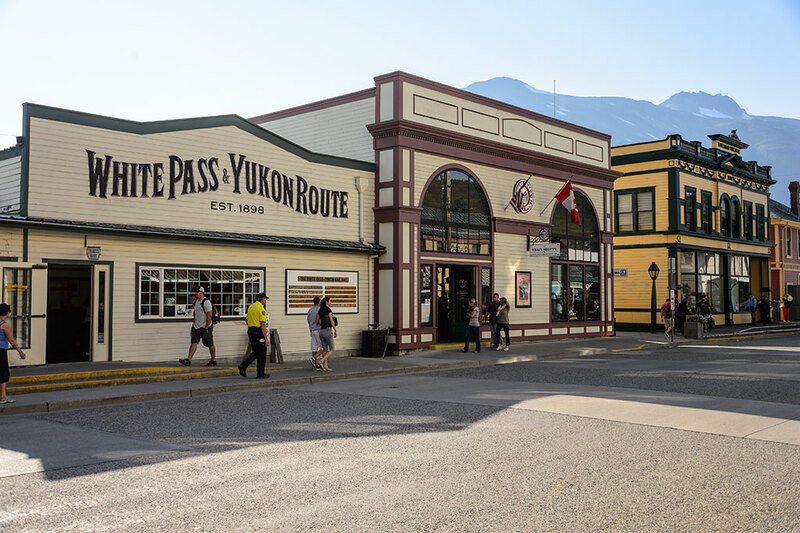 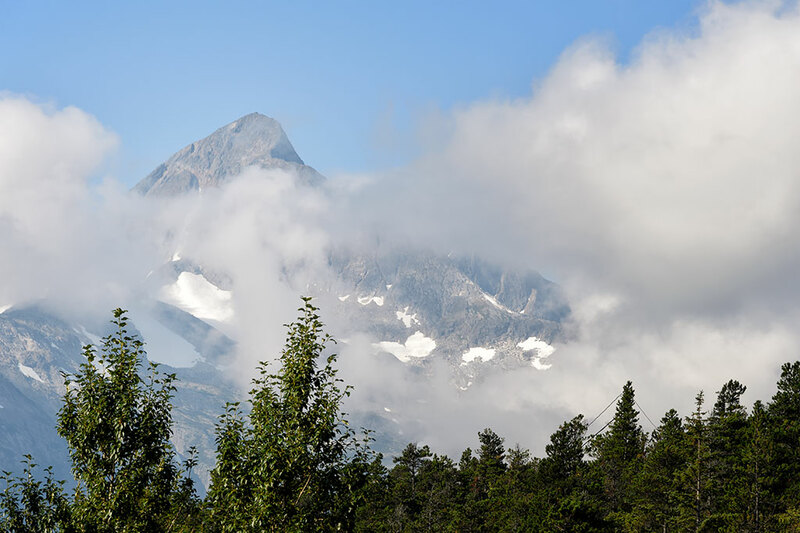 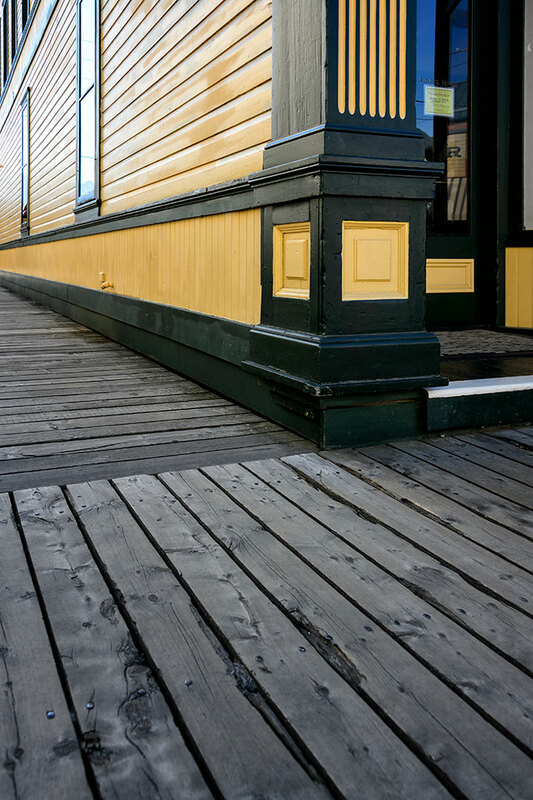 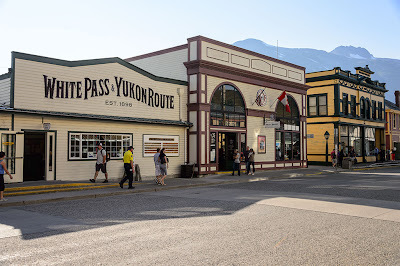 The main activity of Skagway these days is the White Pass & Yukon Route Railway. 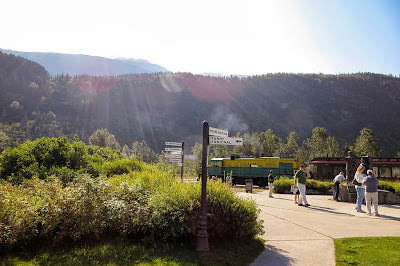 This tourist railway starts right next to the cruise ship docks. The green and yellow diesels run up the mountain for about a 3 hour excursion. 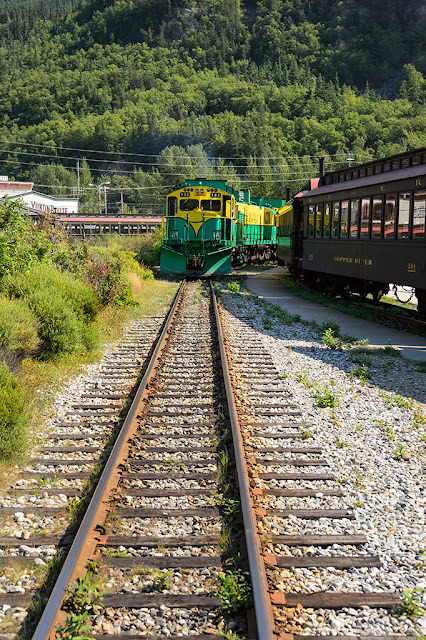 If you are lucky enough to be in port on a Monday you might be able to ride the steam engine. Sadly, it is the only day it runs. 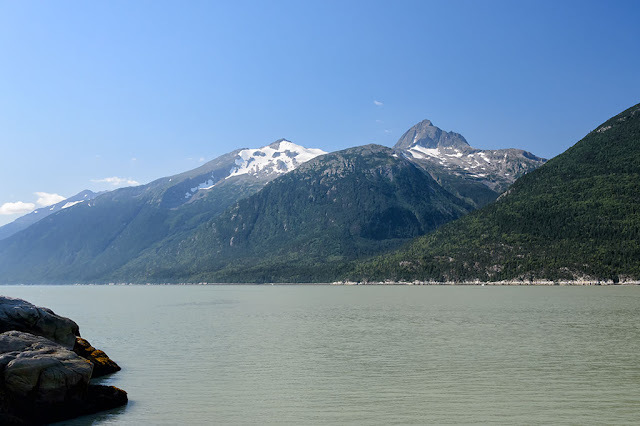 While wandering around town on our own Peg noticed a footbridge across the Skagway River. 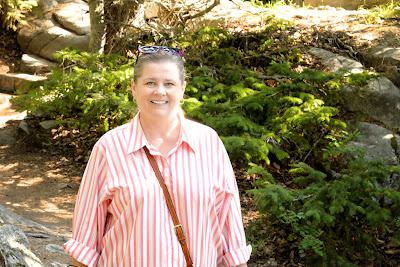 We discovered that this bridge, next to the airport west of the docks, led to a beautiful park. 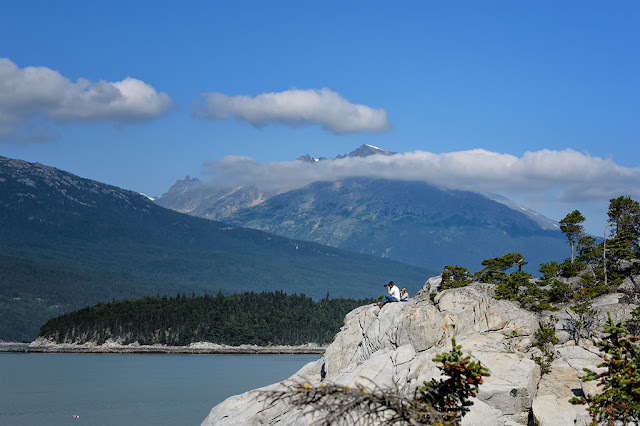 The views of Smugglers Cove from Yakutania Point were beautiful. As a bonus we were able to watch a couple of whales on the far side of the cove. 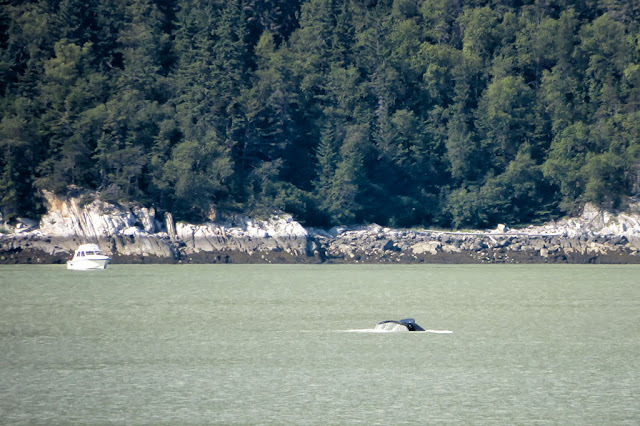 Inspired by the whale tail spotting, Peg would later hunt all the jewelry stores to find a perfect silver tail pendant. 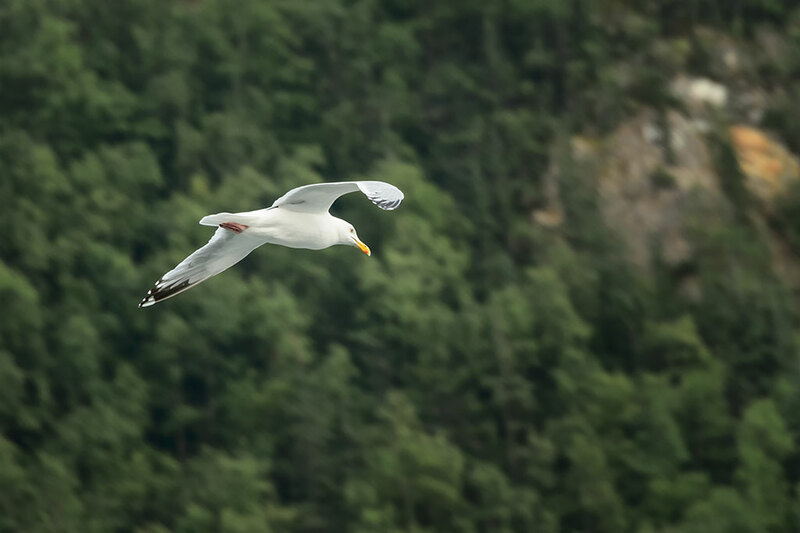 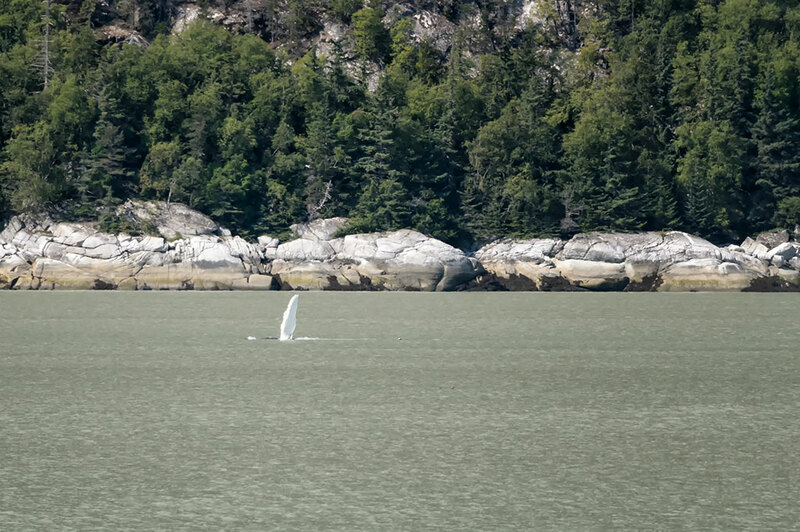 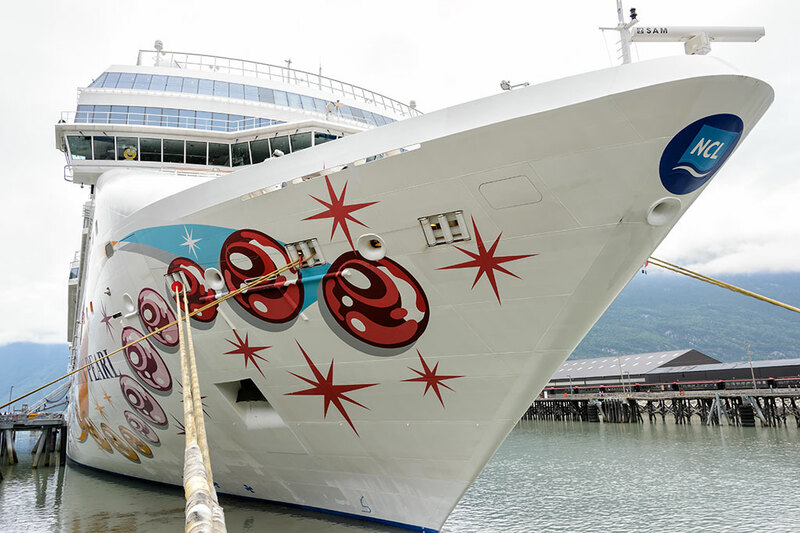 August is a great time to sail Alaska. 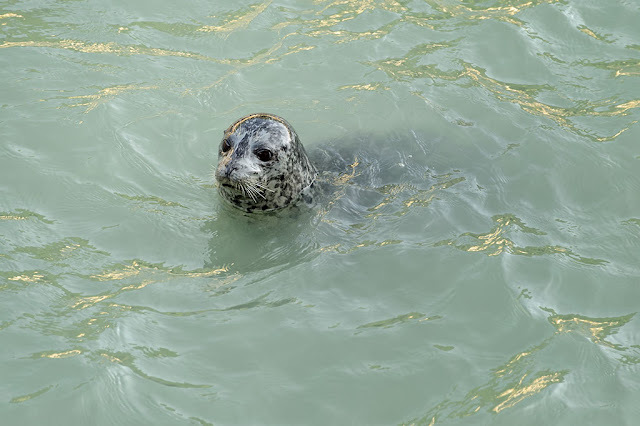 Because the salmon are running, there are plenty of animals to watch as they fish. 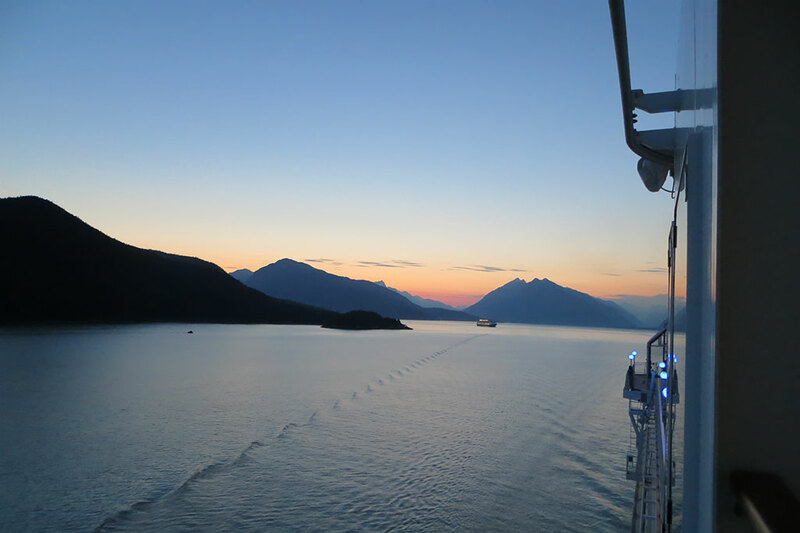 The seals at the docks were very busy as well as many sea birds.We were sad to leave Skagway, Alaska but as we sailed out of port we were rewarded with another beautiful Alaskan sunset.